Propertymart Real Estate Investment Limited has expressed support for the housing provision dream of the supervising minister for Nigeria, which needs almost one million housing units annually. “Nigeria offers a high return on investment in prime real estate, and hosts one of the world’s fastest growing populations – a huge attraction for investors,” says Mr. Fasunwon Deji, Deputy Managing Director of Propertymart. Nigeria, by all indices and despite its challenges, represents a huge market for real estate development. The ongoing Federal Housing Scheme is being implemented to address the housing needs of Nigerians plug the housing deficit, which is put at about 17 million units. 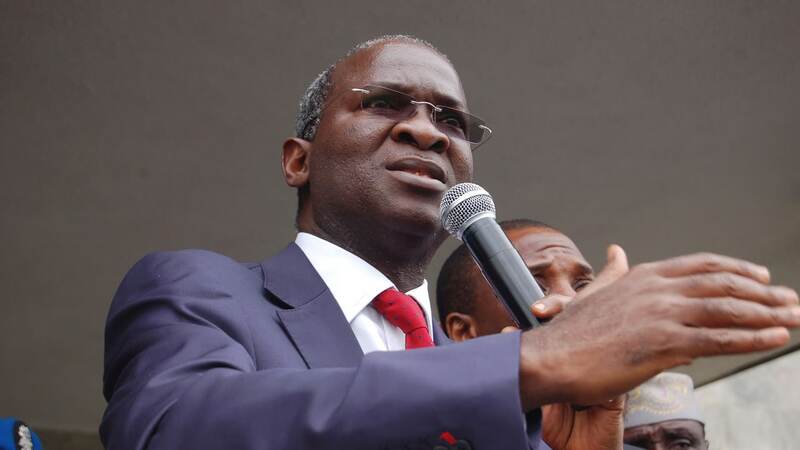 Minister of Power, Works and Housing, Babatunde Fashola (SAN), has said that the scheme is aimed at delivering affordable houses to workers based on the National Housing Policy. “There is a National Housing Policy in place aimed at providing affordable housing but there has been no programme in place to deliver the houses. That is what this programme is all about,” said the minister. Going by his antecedents while in office as the former governor of Lagos State, Mr. Fashola, as the Minister of Power, Works and Housing, seems to be the right candidate to push through such progressive policies. Mr. Fashola has shown that he understands the business of government in providing an enabling atmosphere for investors, going by strategies being adopted in the implementation of the Federal Housing Scheme, which he has described as also a part of government’s multi-facet approach to economic development. “The programme is part of government efforts to create value chain economic activities, aimed at empowering Nigerians all over the country. Workers will be happy on site getting paid from contractors to take care of their families and patronising food and others,” he had said, adding that the minister also said the ministry was training artisans like carpenters and bricklayers to be relevant technically. To encourage investors, Fasunwon believes that Nigeria’s policy makers need to ensure that access to long-term finance is guaranteed to enable investors attract consumers from the upper end of the market that play in the prime real estate sector. According to him, the gaps in government-run infrastructure would also need to be plugged to guarantee efficient urban development, adding that roads, electricity, security, etc. are significant areas that the government would need to invest in to ensure that developers and clients enjoy best practice residential and commercial property standards. “The government would also need to promote favourable macroeconomic policies which will in turn encourage private sector investors to partner with her in providing low-cost mass housing. These policies must result in low interest rates, stable exchange rates and low inflation to encourage investors move into mass housing projects and low-income earners move from rented (substandard in most cases) housing to their own affordable mortgage-enabled homes. These policies, in conjunction with a broader economic growth stimulation that results in lifting more Nigerians above the poverty line, will make low-cost housing actually affordable for the low-income earner,” he stated. Additionally, he wants processes for land acquisition, construction permits and property registration must also be simplified and automated in line with global best practice. “We cannot continue with a culture that frustrates estate developers and discourages prospective home owners. In extreme cases, prospective property owners have had to wait years to secure required approvals and documentation. Controversial legislation such as the 1978 Land Use Act and the 2012 National Housing Policy must be revisited to tackle areas of their implementation that stifle the growth of the real estate sector,” Fasunwon added.